The world of impact investing is rapidly changing with the entrance of large, international investing firms. Morgan Stanley, JP Morgan, Goldman Sachs, BlackRock, and the list goes on. Driven by their customers, public opinion, private conviction, or a combination, these players are taking interest in and making significant investments in expanding their impact investing capabilities. Their entry into impact investing has been cause for excitement as well as questions around how this “big money” can best be used for good. At this year’s Sustainable Business and Social Impact (SBSI) Conference, CASE i3’s Faculty Director Cathy Clark welcomed Tom Mitchell of Cambridge Associates, Laurie Spengler of Enclude Capital, Mike MacHarg of MercyCorps, and Eric Stephenson of the Cordes Foundation to discuss the implications of this entry of big money into the impact investing world. All panelists agreed that as the volume of capital in impact investing has grown rapidly over the last several years, the credibility of impact investing has increased. 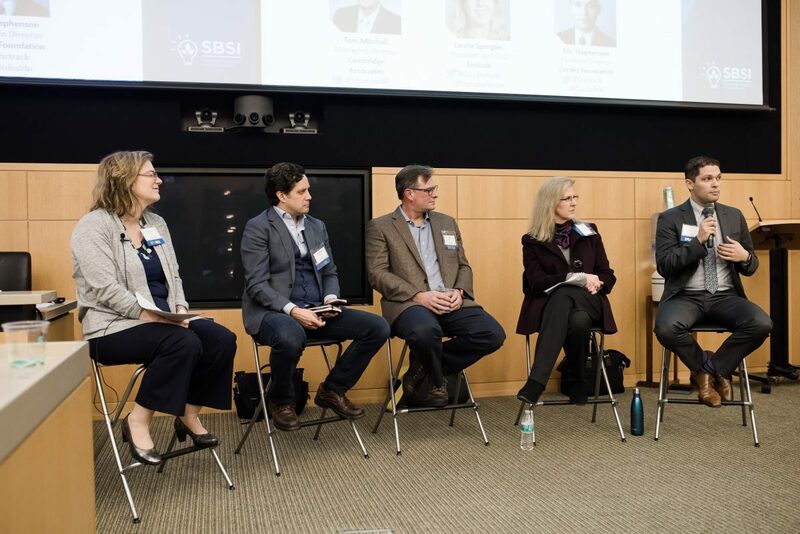 In addressing the positive outcomes of mainstream banks entering in to impact investing, Laurie explained, “I can get in to a lot more rooms [when asking to speak about impact investing]. There isn’t a [Chief Investment Officer] that won’t at least take the meeting.” Impact investors finally have a seat at the table and a voice that is heard by the largest financial institutions. Tom, however, underscored the risks of over-crowding and making poor investment decisions as investors struggle to source deals. The potential for weaker investment decisions, an impact investment bubble, and subsequent blowback should not be ignored. This is especially true if, as Eric observed, financial advisors and money managers are on their own learning curve about impact investing. The field infrastructure to guide and advise investors needs to develop in tandem with deals and funds. Improvements in infrastructure but where is the trickle-down? Mike MacHarg cautioned the audience that some new investors may not have the same risk appetite in the name of impact as more experienced impact investors. The larger players entering the market are starting to mobilize dollars, but also need to contribute to improvements in the infrastructure of the sector. Both Mike and Laurie agreed that the “big” money coming from new asset holders and managers has not yet trickled down through funds and investment platforms to the enterprise level. If largest impact is made at the enterprise level, the panel agreed we need to see the big money players working to understand how to mobilize direct enterprise investments through new investment vehicles. Tom noted that “several research studies have shown us that smaller funds are more successful in the impact space.” In his view, one of the central challenges lies in finding sufficiently large funds to meet the requirements of big banks, while understanding that smaller deal sizes have been proven by several studies to outperform on the impact side. Laurie went a step further, recounting a story about a creatively structured deal that was rejected by a large bank, not on merit but because it didn’t fit into any traditional investment vehicle bucket. Whether the solution is to adapt commonly used vehicles or conform impact investing to the traditional mold, something will have to shift in order to preserve deal quality while scaling up. Though impact investing has evolved and grown dramatically in the past several years, the rapidly changing nature of the space is here to stay. The truly big asset holders, pensions, and 401Ks, are starting to embrace impact investing. As that capital and more turns toward social impact, the advisors, fund managers, and practitioners will have to think strategically about how best to marry these previously separate worlds, maintain returns, and maximize positive impact on society. 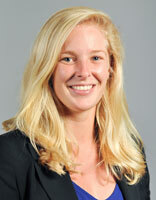 Katherine (Kat) McNeil is a second-year MBA Candidate and a CASE i3 fellow. Prior to coming to Fuqua for her MBA, Kat spent three years in the Peace Corps, working as a math teacher and economic development volunteer in Cameroon where she trained other Peace Corps volunteers and Cameroonians in data collection, monitoring and evaluation.